New Delhi, 8th March, 2017: The Indian Institute of Technology Hyderabad participated in the 3rd Festival of Innovation (FOIN) 2017 at Rashtrapati Bhavan today. The Design Innovation Centre (DIC) of IIT Hyderabad set up under the National Initiative for Design Innovation by the Ministry of Human Resource Development (MHRD) took part in th festival and showcased various projects undertaken by the Design Department of the institute. The Festival of Innovation aims to recognize, foster & reward young grassroots innovators and create a vibrant ecosystem which will enable them to thrive. It stresses on the need to learn, share experiences in design & development which will help in delivering inclusive innovations for the common good. The Design Innovation Centre (DIC), a part of the Department of Design at IIT Hyderabad has been working towards the infrastructure of the ecosystem, in which designers and engineers in academia interact with real world problems and stakeholders to give shape to creative entrepreneurial co-operation and collaboration. 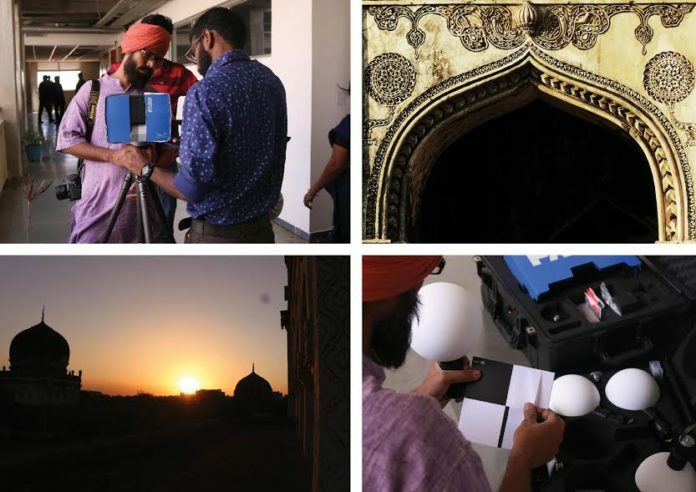 At the Festival of Innovation, the institute presented their innovation and work across various work areas like Design for Education, Preservation of culture through Animation, Digital Preservation of Monuments. The Design in Education aims to introduce design subjects in schools as part of the pedagogy and include teaching of theory and application in the design of products, services and environments. Design education is learning how to apply practical methods, prior knowledge, and natural talent to solve new problems. It is also referred to as Creative Education. The project on Preservation of Culture Through Animation aims to recreate history and culture of Telangana through Virtual Reality Animation, take the viewers through a unique interactive experience of 360 Degree Animation and to preserve culture of Telangana through the medium of Animation Film. The current project aims at preserving the oral history of Qutab Shahi through a 360-degree virtual reality animation, virtually depicting these stories in the form of animation will contribute in preserving the intangible medium into a tangible one. Hayat Bakshi Begum was probably the most influential lady of medieval Deccan.